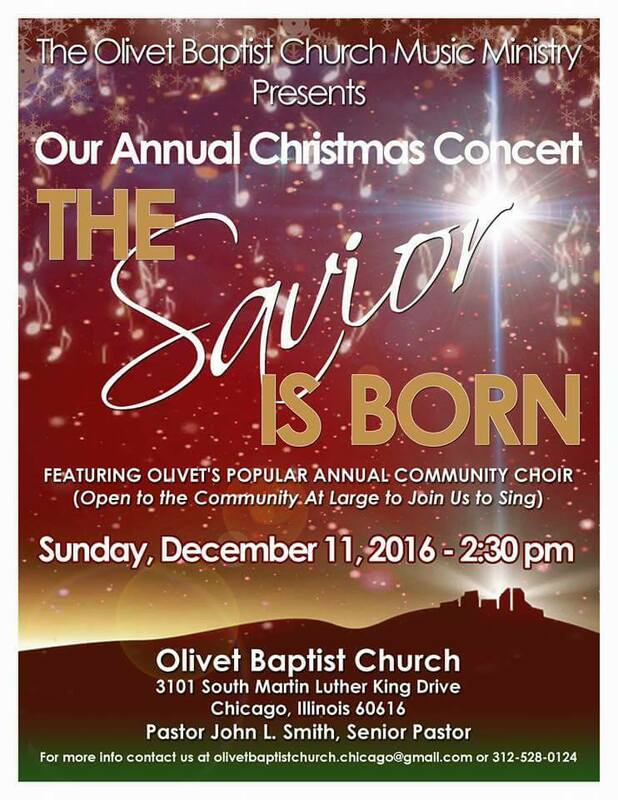 WELCOME TO OLIVET BAPTIST CHURCH from Olivet Baptist Church on Vimeo. All are welcome in our sanctuary where you are invited to take part in an enriching worship experience as you hear and learn the word of God. Olivet Baptist Church (OBC) delivers “church unusual” all week through bible study, collective and individualized prayer groups, Sunday School and Sunday worship service. “Church Unusual” continues in our PRAY, PLAY AND STAY together campaign designed to increase ministry participation in the church body and viable programs in the surrounding community. We are an unusual church in that we appreciate our unique history as the oldest Black Baptist church in the city of Chicago, but we look to the future striving to be a relevant church in the 21st century. In keeping with the history of notable Olivet Church milestones dating back to 1850, we are committed to bringing every willing heart to a saving knowledge of Jesus Christ. Olivet Baptist Church is founded on the belief that Jesus Christ is God’s son and the one true Savior - John 3:16. OBC strives to be a powerful spiritual presence in the Bronzeville community and beyond. The establishment of new ministries and programs such as The Premier Advantage After School Program, the Legal Outreach Program, Financial Literacy and Entrepreneurialism Program and Theatrical Arts and Music, are a sampling of recent successes in 21st century outreach. These and all of OBC’s programs and ministries are embedded in the Gospel of Jesus Christ according to the word of God.